Graveside services with military honors will be conducted for Donald J. Patrick, 84 of Weatherford, TX at 12:00 noon on Wednesday, December 5, 2018 at Eagle Creek Cemetery, Harleton, Texas. Officiating will be Rebecca Ponder. Donald J. Patrick was born in Oil City, LA on April 26, 1934 to Aubrey and Fern Ard Patrick. He passed away peacefully at his home in Weatherford on December 1, 2018. 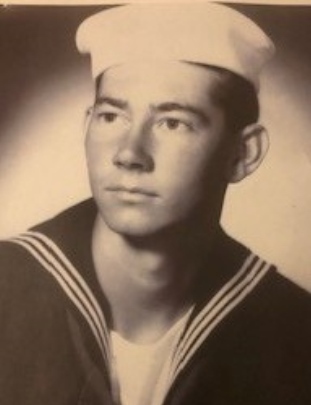 He proudly served in the US Navy from 1952 to 1956 during the Korean War. After the war he attended Stephen F. Austin State University in Nacogodoches, Texas. He retired from the US Postal Service in 1994. He is survived by his loving wife of 58 years, Fama Cook Patrick; his daughter, Shannon Patrick Young and husband Yale Young; one granddaughter, Jordan Emily Young and her fiancé Blake Edward Doyle; one sister, Cindy McCord; two sister -in- laws, one brother in law, and many loving nieces, nephews and extend family. Donald was a member of First Methodist Church in Weatherford, Texas.